The essence of a professional relationship is the flow of information and advice between clients and their professionals. It is the soul of this practice. The combined resources of the Firm's professionals serve as a unique tool to both established and emerging entrepreneurial clients. We also advise prospective business purchasers about local market conditions, industry trends, and the financial condition of an acquisition candidate. If you are selling a business, we can offer advice for obtaining the best possible sales price and contract payout terms. Our company offers a wide range of consulting services to help you improve business operations, boost efficiency, and increase the bottom line. Click here to visit our D & A Systems Consulting Services web site. We can assist you with reaching all of your financial objectives. The first step is to develop a detail financial plan based on your individual needs and requirements. Our firm can assist you with the selection and implementation of your Accounting Software. We are Authorized Resellers of MAS 90 For Windows, Business Works and Quick Books Pro software. Click here to visit our D & A Systems Consulting Services web site. You are ready to move into the computer age, but you have fears of expensive, unsuitable software, and systems crashing. We understand your fears and we will work with you to setup an efficient, user-friendly computer system. Our business-savvy computer technicians and programmers can explain even the most advanced high-tech concepts in plain English. Whether you want to set up a computerized accounting system, a computer network, or even an online web store, our firm can help. 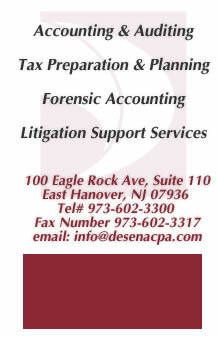 Click here to visit our D & A Systems Consulting Services web site.